Nose: sweet fruits, apples, vanilla, ripe peaches, cherry, floral, leather, perfume and berries. Mouth: sweet, apples sourness, spices, light oak, vanilla, sweet fruits, dried fruits. Finish: middle with spices, sweet fruits, oak, vanilla notes. 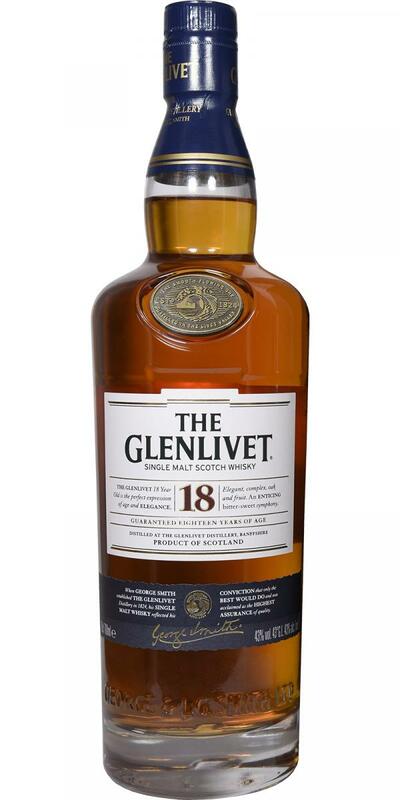 The Glenlivet is a good balanced, smooth, enough sweet, a little bit simple and easy drinkable whisky.